Becoming a CNA is not only a good career, it’s also a great way to gain nursing experience and get your foot in the healthcare door. 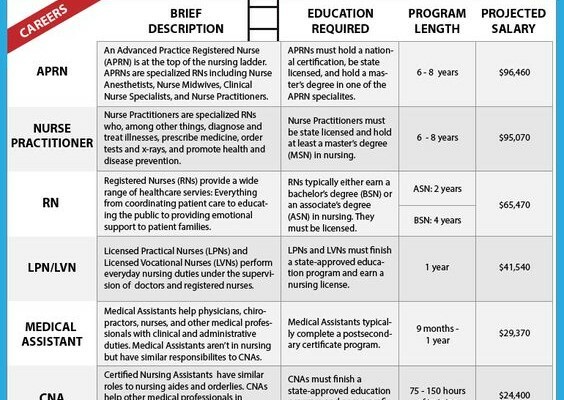 Many people start off as CNA’s and eventually become registered nurses, nurse practitioners, and sometimes even doctors. 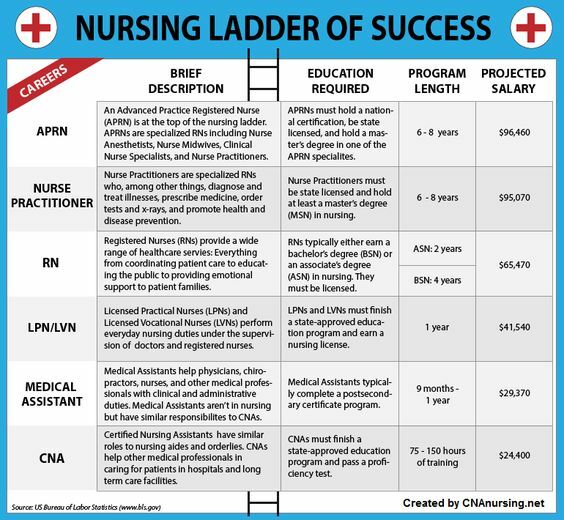 Take a look at the different levels of nursing and how each rung on the nursing ladder can get you greater responsibility and a higher salary. This entry was posted in Nursing Research. Bookmark the permalink. I hold a LPN from Kenya valid license,have gone through basic registered course but was not able to sit for my exams,how can I register to finish doing my exams for the registered course. I would like to know the requirements needed in order to join or qualifications.